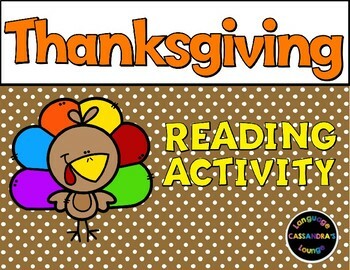 This reading activity is a great way for your students to learn about the history of Thanksgiving! 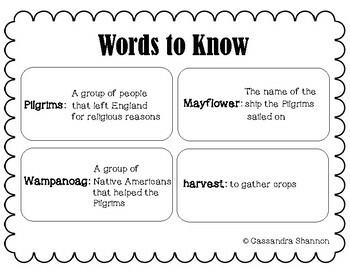 It also includes a vocabulary page to discuss "words to know" to gain a better understanding of the text. After your students read the passage, they will have to complete three tasks, then answer the comprehension questions that follow. Enjoy!